INL – International Iberian Nanotechnology Laboratory and ASTRI, a governmentally funded Hong Kong Research and Technology Organization, have signed a memorandum of understanding (MoU) which allows INL to install a research hub dedicated to Nanotechnology in this Chinese territory, and provide INL customers with an easier access to Chinese market. Following the Signature Ceremony, this Friday 2nd. Of March, in Hong Kong, INL General Director, Professor Lars Montelius, underlined the relevance of this agreement for “INL growth strategy which includes the establishment of an INL Network made of hubs and regional memberships” also stressing “the importance of international collaborations and joining forces in order to be able to address the large societal questions of today taking advantage of the possibilities opened by Nanotechnology. This is, in fact, the primary reason for the hubs and networks INL is creating across the globe”. 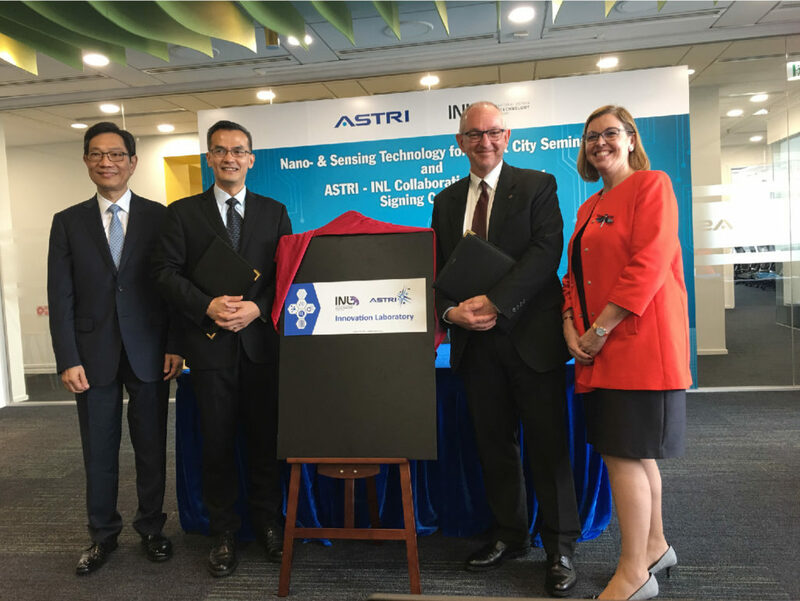 The MoU now signed with ASTRI gives INL access to the Hong Kong Science and Technology Park, where several other international companies are located, creating the chance to explore common interests and cooperation opportunities.